I love quiches and salty tarts. 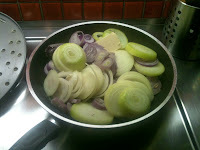 I find them nutritious and an excellent dish filled with proteins, vegetables, carbs and dairy: a whole meal in one! 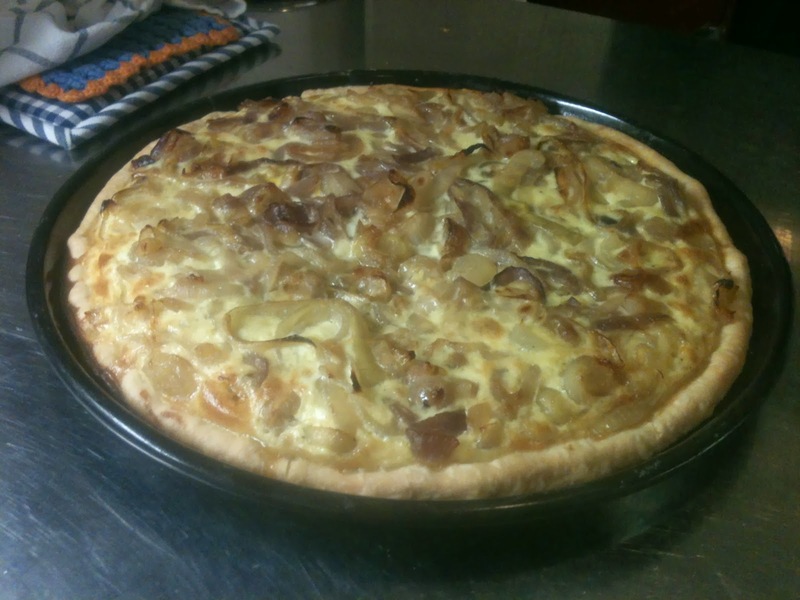 This onion tart is a scpecialty from the Schaffhausen canton in Switzerland and is also called Schaffhauser Bölletünne. 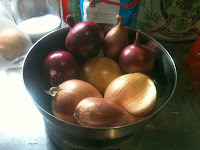 It contains bacon lardons and lots and lots of onions. The pie is typically made with standard yellow onions, but here I mixed them with red onions and shallots too because I thought it might be more colorful and more tasty. It takes a bit of time to prepare all the ingredients and bake it in the oven, count 1.5-2 hrs in total from start to end. You can serve it warm with a fresh salad but it is also excellent cold as snack! I hope you enjoy it and you can also check out my Quiche Lorraine! 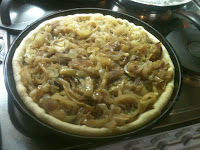 Prepare the shortcrust dough as previously described and refrigerate 30 min. 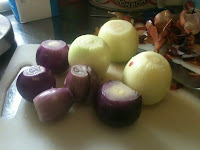 Peel and slice onions (I chose to use several kinds of onions together), cook them with some butter in a pan until they become transparent (low-mid heat). Let them cool down. Grill the bacon lardons until golden and let them cool on kitchen paper to soak extra fat. 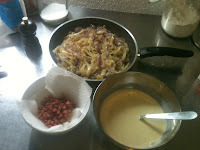 In a bowl add milk and cream, and add eggs one by one while whisking. Add some pepper and nutmeg if you like. 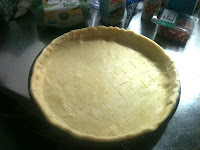 Roll out the dough onto a buttered + floured pie form, fold in the edges and prick it with a fork. 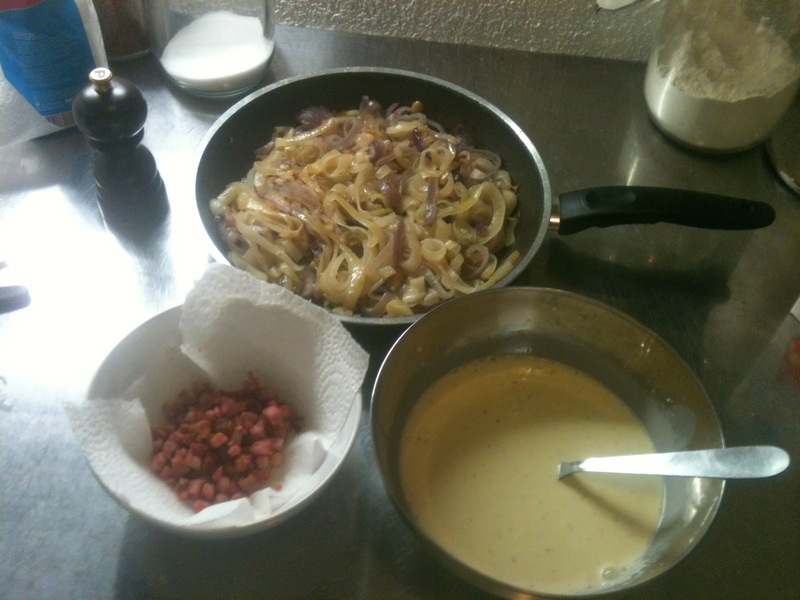 Bake in the oven 8 min at 200 C. Spread the bacon lardons on the pre-baked dough, add the cooked onions and finally the egg-cream mix. 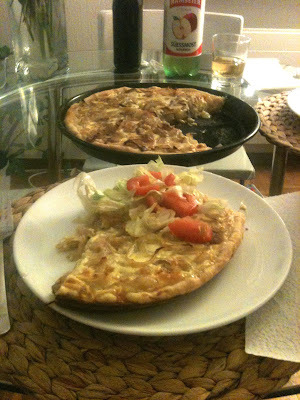 Bake in the oven approximately 30 min at 200 C. Serve with a small salad.